Maximize your device's potential with this High Speed MicroSD mobile memory card. Its easy plug-and-play usability providing immediate expansion of memory storage needed for carrying more music, photos, games and apps. 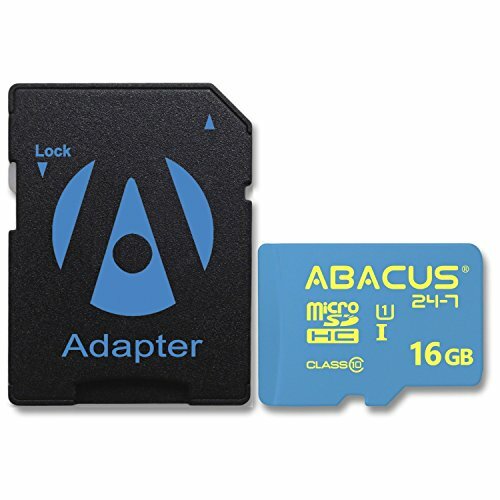 This microSD card comes with a convenient SD card adapter, so you can capture and access data on the card with any device with an SD card slot. You'll be able to use your card with SD enabled cameras, camcorders, tablets, and laptops. If you have any questions about this product by Abacus24-7, contact us by completing and submitting the form below. If you are looking for a specif part number, please include it with your message.